Dental fillings are used to replace tooth material lost to decay. Cavities formed in teeth can trap food and shelter oral bacteria, causing the cavity to grow. Eventually the cavity may penetrate the interior of the tooth, causing a serious infection. Fillings stop the growth of cavities, and protect your teeth. If you are looking for fillings that are beautiful as well as functional, please call 832-610-3123 today for an appointment with dentists Dr. Scott Young and Dr. Leah Zils at Scott Young, DDS. Gold fillings were the first fillings used. Metal amalgam fillings were used as a less expensive alternative, and they have served reasonably well for 150 years until we were able to develop better fillings that were more attractive and more functional. Metal amalgam fillings were used because they were the only economical alternative for long-term restorations. However, many people are unhappy with these fillings. Some people dislike the appearance of these fillings, while others have concerns about their potential health effects. Metal amalgam fillings start silver, but for many people they quickly turn black. These black fillings are as unattractive as the cavities they replaced. There are many health concerns related to metal amalgam fillings. Many people are concerned about their impact on the teeth they fill. These fillings contract and expand with temperature changes, which can cause damage to the teeth. Not only does the pressure from an expanded filling lead to small cracks in the tooth, but when the filling contracts in cold temperatures, liquid and bacteria can enter the space around the filling. This can make the filling more likely to fail and the tooth more likely to crack. Some people also experience sensitivity related to metal amalgam fillings, either because the metal conducts heat and cold into the tooth or because expansion puts pressure on the tooth nerve. Finally, some people are concerned about the presence of mercury in metal amalgam fillings. Metal amalgam fillings are more than 50% mercury by weight, and that mercury doesn’t stay in the filling. It evaporates and is inhaled, or seeps through the tooth into your blood. Mercury is toxic, and bacteria in the gut can change mercury into its more toxic form, methylmercury. Although the FDA and the ADA insist that mercury fillings are safe, there is a worldwide movement to ban mercury fillings because of health concerns. If you have metal fillings which are visible when you speak or laugh, Houston cosmetic dentist Dr. Scott Young can replace your metal fillings with tooth colored fillings, giving your teeth the appearance of naturally healthy teeth. Even though composite and porcelain dental fillings are both referred to as tooth colored, they differ from one another. Composite fillings are made from composite material, essentially a plastic that has ceramic inclusions to make it stronger. The composite starts as a paste, which is applied directly to the prepared tooth in layers until it fills the desired area. Then, a light or chemical is used to cure the composite material to tooth-like hardness. Composite fillings come in a limited number of shades and often appear “flatter” in luster than porcelain fillings. Porcelain can be tinted to virtually any shade, which is why many cosmetic dentists prefer to use porcelain for tooth restorations, particularly if they will be in a visible portion of the mouth. Porcelain fillings are also stronger and can lend their strength to a tooth. They can also last longer than composite fillings.  Please contact our Houston cosmetic dentistry office today to learn more about tooth colored dental fillings or to schedule your consultation at Scott Young, DDS, serving The Woodlands, Houston, and Conroe areas of Texas.